Emergencies are accepted anytime the doctor is in and the clinic is open. If you feel you have an emergency with your pet, please call us immediately at 760-758-2091 If possible, it is best to call first to ensure the doctors and staff are ready and available to assist your pet. Life threatening emergencies always take precedence over regularly scheduled appointments. We have a veterinarian and support staff on duty 6 days a week. Our staff is trained and equipped to handle any emergency your pet may have. Usually an emergency team consists of at least one veterinarian and several technicians working together to save a pet’s life. Emergencies can be things such a poisoning, hit by car, bee sting or chocolate ingestion. If you feel that your pet needs emergency treatment do not hesitate to call or come in immediately. We are also available for Urgent Care when the condition is not life-threatening, but requires prompt medical attention. Our receptionists will accommodate your pet by scheduling the next availability or “squeezing you in” between scheduled appointments. When you arrive, our receptionists will be able to give you an estimate on wait time, if any. In order to continue to provide high quality service at affordable fees, we require payment be made at the time services are rendered. Click Here for payment options. We provide estimates for all surgeries and hospitalizations. If you would like an estimate during a regular appointment please ask for one at the time of check in. 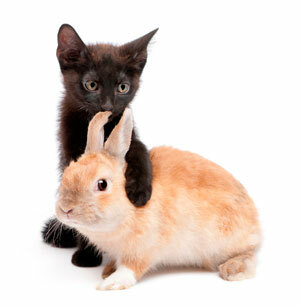 We are happy to provide estimates for services during any part of you pet’s visit. We understand that cost may be a concern and we like to avoid surprises as much as you do!